11th July 2016, London – BuzzMyVideos, the the next-generation, creator-first media company, has today announced a strategic move into Social Distributed Video by enabling content creators to publish their videos across Facebook and Twitter via its highly anticipated new tool BuzzBroadcast. With platforms increasingly shifting their focus to video, the need to capture and engage audiences and manage Short Form Video with data-driven distribution strategies has become vital. BuzzMyVideos is making a pioneering move into this game changing environment by facilitating Content Creation, Curation and Distribution everywhere and on every device. The new video manager feature BuzzBroadcast resides on the creator dashboard and allows users to simultaneously upload videos to Facebook and Twitter. Using data-driven proprietary technology with simplicity and effectiveness, the streamlined procedure will not only make creators’ lives more efficient but empower them with the ability to leverage the benefits of having a diverse portfolio of outlets and audience reach. Also included in the BuzzBroadcast tool is a video encoder that enables the upload of up to six video files at the same time massively reducing distribution times and a video processor, allowing the upload of different formats of videos including mp4, avi, mov, webm, m4v and ogv. 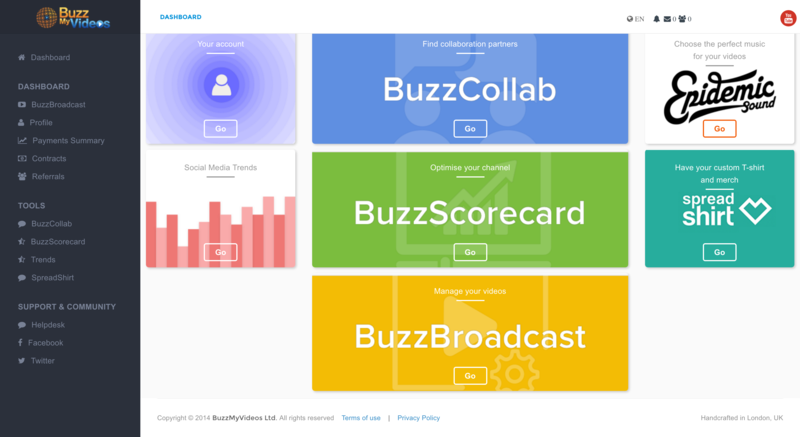 The BuzzBroadcast feature enables BuzzMyVideos to tap into an even bigger pool of data. After analysis, BuzzMyVideos will now be able to supply easy, readable and accessible insights that will help optimise reach, audience growth and production. BuzzMyVideos has identified a data-driven approach as vital for Content so that tailor-made content production is inline with a distributed video strategy across all main social video platforms.